Please join us for this year’s award ceremony in the new month of December. 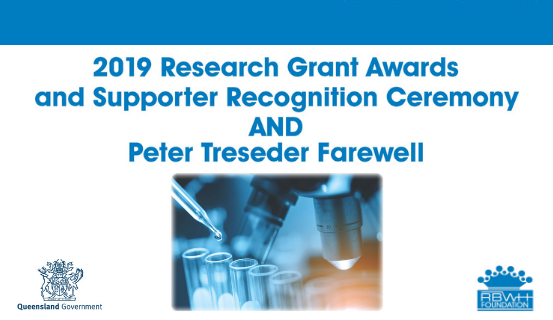 It will be an afternoon of celebration as we distribute well-deserved research grants, pay tribute to our generous donors, and honour RBWH Foundation CEO Peter Treseder as he retires after 10 years serving the hospital. Refreshments to follow the ceremony.